What it is: An announcement trailer for the sequel to the popular online action game dropped this week. Why it’s important: In an age of moral confusion in which it’s difficult to see direct results of sacrifice and service, the world of Destiny provides a clear, simple problem: Earth is under attack, and you must save it. Our speaking teams meet lots of gamers, many of whom enjoy Destiny because it rewards problem-solving skills, risk assessment, teamwork, curiosity, persistence, and goal-setting. Not bad, except that what’s accomplished in the game is often players’ only fulfillment of our God-given drive to do good. We remind students that we are destined to use our skills to solve real problems, too. Ask the gamer(s) you know what they enjoy about their fav games, what challenges they enjoy overcoming. Then find ways to broaden their destiny into one that solves correlating real-world problems: Love saving a damsel in distress? Volunteer at a crisis pregnancy center! Love building virtual structures? Volunteer at Habitat for Humanity! 2. Buy a Better World? What it is: Trust in the news hits an all-time low, yet trust in advertising is on the rise. Why? One author thinks it’s largely due to the use of empathy. Why it’s important: What many teens we speak to don’t understand is that ads are just as influential as the shows they interrupt because each one is selling an idea: “[Commercials] are using their particular bully pulpit to moralize and sermonize and offer up, in the end, that most American of reassurances: that a better world can be achieved, because a better world can be bought.” Read the whole thought-provoking article, then analyze some of the linked ads with your teens. Why do we trust what ads promise? Is it misplaced trust? How do profits muddy the waters? Does it feel authentic or manipulative to use empathy to convince us to buy their products? Is buying more stuff really the solution? What it is: Dad LaVar Ball compares himself and his son Lonzo to the all-time basketball greats, igniting controversy and outrage. Why it’s important: “Outrage sells.” LaVar’s comments have gotten him a lot of airtime—a virtue in today’s “viral” world—but it’s hard not to wonder how they’re affecting his sons (2 of whom are still in high school). Will the legacy he passes on to them be one of braggadocio, endless promotion, and pressure to be the best? Yes, his sons are good at basketball, remarkably so. But what kind of men will they grow up to be? What will they care about, stand for, fight for? In a loud world, we need fathers who quietly, humbly raise children to pursue excellence in all things to glorify their Father, to find their identity in much more than their accomplishments, and to understand that being recorded in the annals of history is nothing compared to being written in the Book of Life. If that’s you, we applaud you. Keep at it. It’s so worth it. Drake’s fifth album More Life broke streaming records, outdid all of its counterparts in sales, and set the twitterverse on fire. With all 22 tracks climbing the Billboard Hot 100, this is one of the most popular (read: most influential) albums this week. Track One on Drake’s “playlist,” as he’s calling it, includes this line: “I saw people doing things / Almost gave up on the music thing / But we all so spoiled now / More life, more everything.” So what does “more everything” include? Certainly more money. But what else? Actually, more insecurity and more relational strife. In the song “Lose You,” he sings, “Winning is problematic / People like you more when you’re working towards something / Not when you have it.” This theme, that Drake has become incredibly successful and now feels like many just want to take advantage of his success, is recurrent throughout the album (see “Fake Love,” “Madiba Riddim,” and “Jorja Interlude”). Sometimes Drake is called out for being “too sensitive.” In general, for however much time he spends bragging about his success, he spends just as much time earnestly writing about his feelings. Some students may relate with this sensitivity or perhaps his feeling of being alienated from the people around him. For others, the kind of success Drake has achieved might seem like the epitome of what life is about. He’s a talented artist, and he’s become way more successful in this world than most people will—and yet, in songs like “Ice Melts,” he admits that with everything he has, his life still feels incomplete: “Better not give that up to anyone but me / Patient as can be, but / I still need some satisfaction / A little less talk and a little more action / I need you out in Jamaica, relaxin / Thought I had everything somehow” (emphasis added). He realizes he doesn’t have everything, and he searches for it in a sexual relationship with a woman. Help your students understand that whatever else may happen in our lives, we were made to know and love our Creator. And for students who listen and admire Drake, ask them: Why do you think Drake named his album More Life? What do you think he’s talking about when he uses the word “life”? Is what he’s talking about the same or different from what Jesus is talking about when He says, “I have come to give life, and give it to the full”? 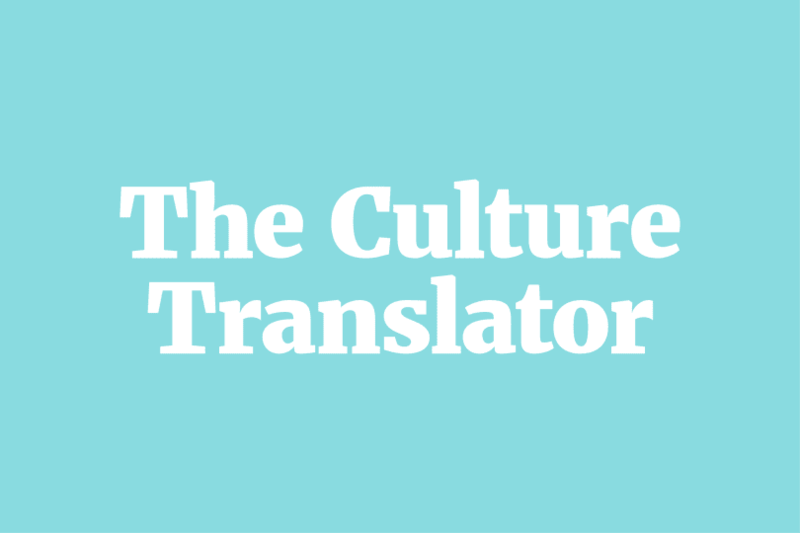 Join us for The Culture Translator Live events. Click here to RSVP.